The Community Christian Choir (CCC) is called from many Christian denominations to praise God through excellence in song. Because of that call, we make a prayerful commitment to minister to each other and serve as witness to diverse communities. We provide mutual Christian support and financial and spiritual benefit to various needy causes. The CCC is a non-profit, ecumenical choir with vocalists from more than 45 area churches. Both adult and children’s choirs are comprised of singers of a variety of skill levels. The children’s choir has divisions for ages Kindergarten and up. Singers are placed according to experience and ability. The adult choir ranges in age from 9th grade students to senior citizens. High School students with maturity and commitment are welcome to audition for placement in the adult choir. For additional information about joining this group of talented and spirited singers, please call (609) 587-7076 or email to: CCChoir@optonline.net. Pat has attended workshops with internationally know children’s choir specialists such as Henry Leck (Dir. of the Indianapolis Children’s Choir), Helen Kemp – the founder of the children’s choir movement, Judith Willoughby of Northwestern Univeristy, Lynell Jenkins of the American Boy Choir School, Joan Gregoryk of the Children’s Chorus of Washington. She has studied with James Jordan, PhD (Choral Music & Educator - Westminster Choir College), Weston Noble, Heather Buchanan of Montclair University, and children’s music education specialist John Fierabend (Hartt School of Music) and many other exceptional teachers in related fields of music. 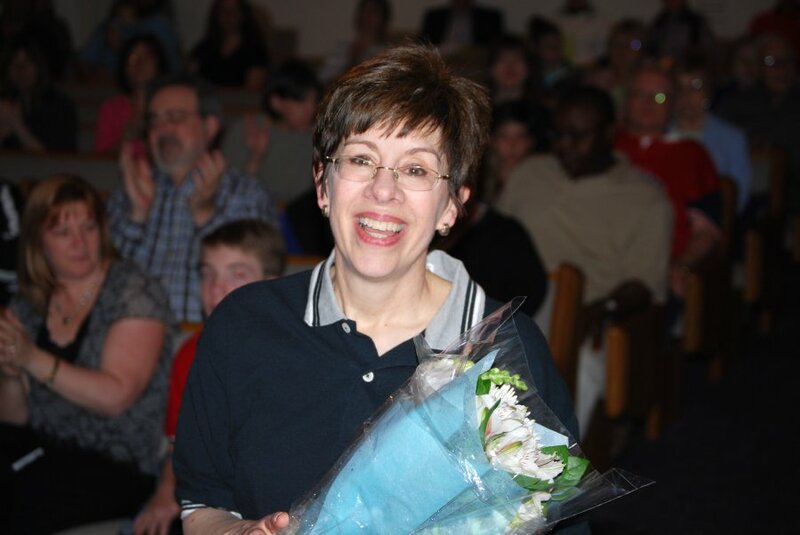 She is a member of the Choristers Guild, American Choral Directors Association (ACDA), Chorus America, OAKE and the NJ Kodaly Educators, Nat’l Association of Teachers of Singing (NATS) & NJ NATS, For the past eleven years she served as the Director of Music for the Presbyterian Church, USA where she helped the church grow by establishing high quality music and integrated arts for the worship services. She established adult choir programs as well as praise & worship ensembles and a graded children’s choir program including “club” times to enhance and build the children’s music. . She is an accomplished vocalist and has her own studio where she teaches singing in Hamilton Square, NJ. Her dream is to establish a Christian School of the Arts in Central New Jersey. A leadership team is now formed and working toward developing this vision, mission and strategic plan. The Community Christian Choir, Inc. is an interfaith group of auditioned singers which began in 1995. Our singers now represent more than 47 churches of various Christian denominations throughout central & southern New Jersey as well as Bucks County, Pennsylvania. There are singing divisions for adults as well as children. Miracle League of Mercer County S.K.O.R.